One of Sydney’s longest running dance institution has maintained a safe haven of hazy house and techno euphoria, putting the Marrickville Bowling Club on the map for the best parties, period. Now bringing generations of Racketeers off the green and under the Sails once again, Mad Racket return for their biggest night yet with a mammoth open air party on the Harbour view Northern Broadwalk stage. Don't miss Larry Heard performing live, with the ever elusive Mr White, guiding you through the club cosmos deep into the night. Perhaps house music’s most enigmatic figure, the Larry Heard legend begins with the all-out classics ‘Can You Feel It’ and ‘Mystery of Love’. From dance music’s first supergroup Fingers Inc. through to sound tracking the halcyon days of Chicago house with rogue selector Frankie Knuckles, Mr. Heard is the undisputed Gandalf of dance music – re-emerging to the stage after decades of silence with a serrated show of live synths, soulful vocals and subterranean visuals to boot. Also completing the perfect bill for lovers of underground house, Robert Owens, “the voice of house” is performing his own special set. 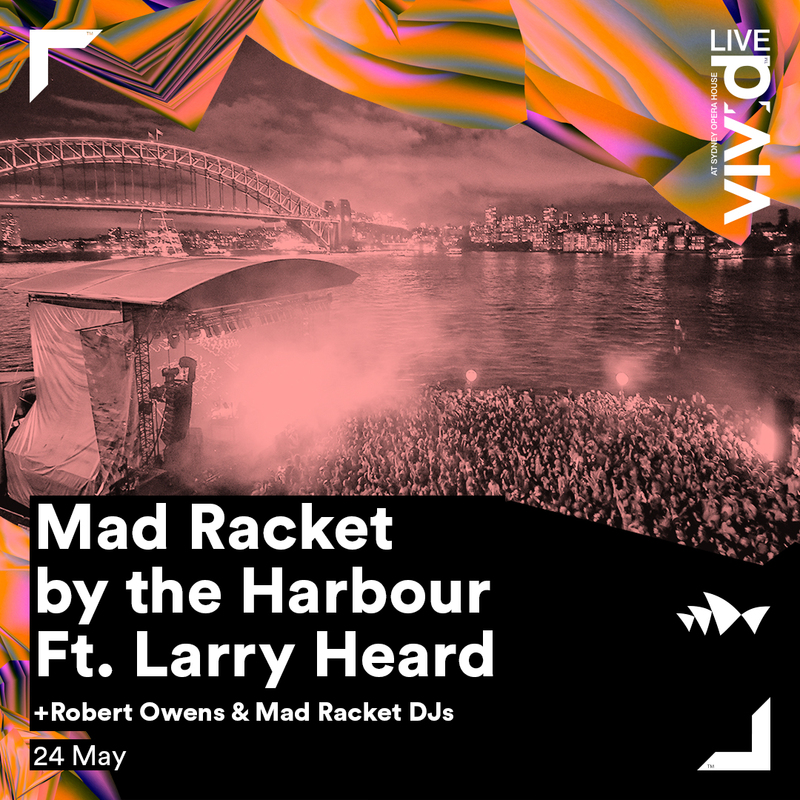 Joined by Mad Racket’s resident outlaws, hear Robert Owens and the original dancefloor maestro Larry Heard pummel the outdoor sound system into soulful submission with the Harbour bridge providing a glittering backdrop for the Racketeer loyals.